Hi Beginners….., Here Is Ultimate Guide for Beginner Drones 2019 You Should Buy Online. Are you very enthusiastic about flying drones and searching for the best beginners drone? Then, Don’t worry, You are in the right place. 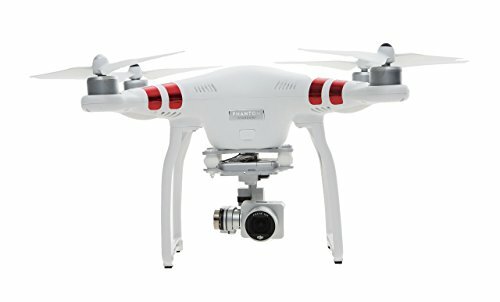 Here is the list of Top 10 beginners drones according to my experience in flying drones. Every Drone initiator can fly these drone with no flying experience. Coming to this list, Generally, when we are new to this drone field, we require something affordable and easy to use products. So, with many different models out there, shopping for a Best Beginners Drone can be quite a daunting task. Hence, here I have compiled a list of some of the most popular beginner quadcopters to help you in choosing the best starter drones. The DJI Phantom 3 crowns the first position in the given list of top 10 beginners drones. It is one of the advanced drones with many outstanding features. The cost of this drone is a bit higher, i.e., is $475 but, with its excellent camera quality and features it is considerable. 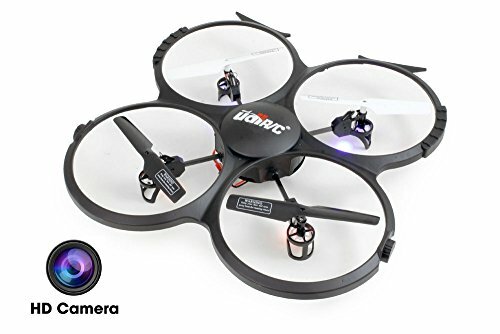 This drone is mainly useful for aerial photography and filming and occupied the first position in the list of best beginners drones with camera. The Camera quality of this drone is 12MP. The Video quality is 2.7K HD. It has 3-axis gimbal included. The charging time is around 60 minutes. The fly range is 1000m. The video transmission system used is DJI WiFi Video Downlink. It offers FPV for live HD video feed. Syma introduces its new innovated X5C Quadcopter. 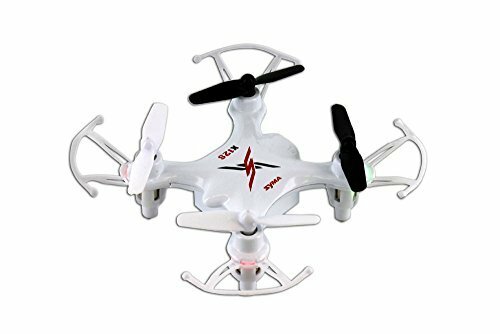 This Syma X5C 4 Channel Quadcopter is a Ready to Fly drone out of the box, and it is very easy to operate and fly. It even offers an unusual change on hovering and balancing of a quadcopter. Flying the Syma into the air is simple and intuitive which allows the pilot to enhance their skills quickly. Hence with its flexible flying features, we listed it into the top 10 beginners drones. The camera resolution of this Syma X5c is 2 MP. The Charging time is 100 minutes. The Flight time is approximately 7 minutes. It can perform flips in the air. It also offers 2 GB memory cards. The UDI 818A is one of the Top 10 Beginners Drones which can be easily operated by both starters as well as experts. It has a six-axis stabilized quadcopter that is capable of controlling high flight speed and the two flight modes which offer enhanced performance when compared to the usual drones. The unique feature of this U818A is an onboard camera. Where we can film videos and take pictures via controls from the 2.4ghz transmitter. Hence it is listed in the list of best starter drones. Let us discuss the features in brief. The Camera resolution is 2MP. Flight time is approximately 9 minutes. The battery takes around 2 hours to charge. UDI U818A is controlled by a 2.4GHZ transmitter. The price is also very reasonable $50.48. 4 CHANNEL function provides stable flying and easy operation. It has 6 AXIS GYRO stabilization. 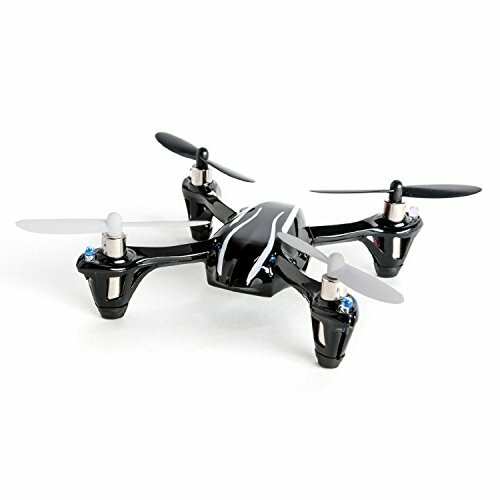 The Hubsan X4 LED edition is one of the best micro quadcopters in the market. The size of this drone is a bit small, but its performance is beyond its capabilities. It is a wind dependent drone with a 4-channel LCD. The X4 comes with 2.4 GHz transmitter that features with the adjustable sensitivity modes for both regular as well as experienced flyers. To balance the extra weight, the H107C is fitted with larger more powerful motors. Hence with its outstanding features, we can consider it as the best top 10 beginners drones. Very affordable price i.e., $37.99. The Flight Time is around 6-8 minutes. The charging time is around 40 minutes. 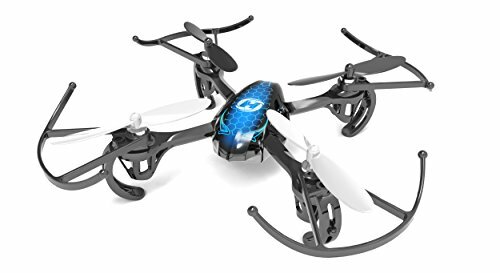 The fly range is 50 m to 100 m.
The Holy Stone 4 channel 2.4GHz Mini RC Drone is a lightweight quadcopter which is suitable for beginners. It’s powered by a rechargeable LiPO battery and comes equipped with a camera for taking both video and snapshots. It has four levels of control and works well both indoors and outdoors. 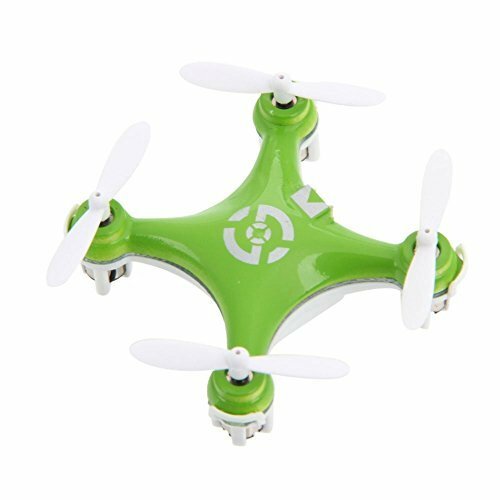 This drone is perfect for both beginners and skilled. Finally, with its flexible features, it is listed in the top 10. The charging time is about 60 mins. The camera resolution is 720 pixels. The Flight time is around is 7-9 mins. The video Recording Modes is 1280 x 720p. The transmission range is 100-120 meters. The video transmission range is about 50 meters. Chroma Flight-Ready Drone with Stabilized CGO3 4K Camera is one of the Best Drone for Beginners. 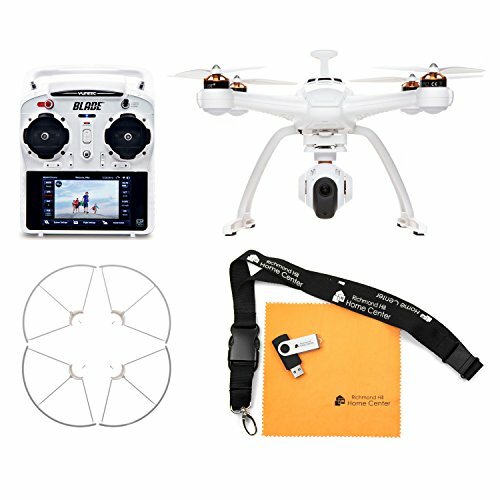 If you’re looking for an easy way to jump into the exciting 4K aerial photography world, this Chroma Flight Ready Drone has everything you need. Now with this Chroma 4K Camera Drone, You don’t need a separate your smart device with the ST-10+ controller. This Package has everything you need, like touch-screen video display, and camera controls. The CGO3 combines a 3-axis stabilization gimbal and high-definition 4K camera into a single unit. This will let you capture steady aerial video and pictures in unbelievable detail. With ST-10+ controller all camera controls are placed within easy reach. Chroma Flight Ready is the Bestrone for Beginners with camera. This Drone for Beginners version of the Chroma drone gives you the additional benefit of Follow Me and Watch Me flight modes that let you focus on getting the shot while the drone does the flying. Chroma Camera Drone Captures steady aerial video in stunning 4K definition Quality. The fisheye effect is eliminated with the No-distortion camera lens. 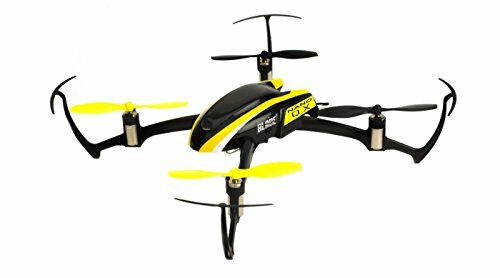 Best Drone for Beginners Easy to fly no experience required. Advanced SAFE Plus technology gives amazing picture quality. Smart Mode is best for beginner pilots and experienced pilots will use AP Mode. Return Home function offers Safe landings with the flip of a switch. Live video and telemetry information on controller display. Mast-mounted GPS antenna for superb signal reception. This is one of the coolest quadcopters which is just about the size of a cookie. The Cheerson CX-10 is a 4CH with a 2.4GHz transmitter. It has 6-Axis Gyro stabilization and comes with four replacement blades a USB charger and the remote controller. Everything was super easy to use at very low price. So, I recommend this if you are just looking for a fun toy for a teenager or an adult. Ready to Fly out of the box. The cheerson cx-10 is tiny in size, i.e., 29mm which we can just place in our hand. It has 6-Axis Gyro control. The 6-axis design makes the gyroscope adjustable and promotes flying stability. Coming to the flight time, it is around 4-8 minutes, and it includes a 3-level adjustable speed flip function. The Charging Time is about 30-40 minutes. The fly range is about 40 meters. It has a Rechargeable 3.7V 100mAh Lithium Battery. Finally, This cheerson cx-10 is mainly suitable for the Ages 14+. The tiny Nano QX is a RemoteController flying fun which you can take it with you to everywhere. It weighs little more than half an ounce which is small enough to fly in spaces. You can fly this drone with no flying experience. The Nano QX uses the SAFE technology system with sophisticated flight control software to keep itself stable in a hover while in stability mode. Once if you are ready with your basics then you can just switch to the SAFE system for faster flying speeds and maneuverability. The Flight time is 7 minutes. Charging time is 30-40 minutes. It offers the frequency of 2.4GHz. Finally, the price is 59.99. The Syma X12 Nano is equipped with full of impressive features which include everything you need to get started flying it right out of the box. Let us discuss the features of the drone in detail. Able to roll 360 degrees in the air is something to behold. It offers 2.4GHz Radio Control. The Fly range is 20 meters. Finally, a great drone for beginners. SwellPro makes the Ultimate Waterproof Drone 3 the most advanced Splash proof drone ever released. Splash Drone 3 Auto is the first fully integrated modular flying platform. With its new flight control system, Swellpro Waterproof Drone 3 is more reliable than ever. The brand new propulsion system with 620kv motors gives you the perfect balance between efficiency and power. With a new quick release module SwellPro system, you can enjoy the maximum versatility. This SwellPro Splash drone 3 auto allows you to run in all weather conditions, even in tough environments. Whether it is by land or sea this Splash Drone 3 Auto is loaded with the advanced modular design. 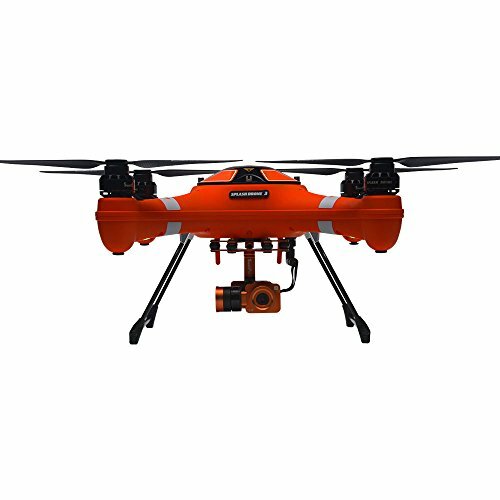 Splash drone 3 from SwellPro can quickly adjust to all types of applications such as aerial filming to search and rescue on the water, or for ocean survey work, fishing, and much other application. Check out SwellPro Spalsh Drone 3 Auto Price and Specifications here. SwellPro Splash Drone 3 Auto is a high end 100% Splashproof drone. This WaterProof Drone 3 can land and float on both fresh and salt water, fly in the rain and all kind of weathers. It is an amphibious UAV platform with different modules for various kinds of jobs. The auto version carries a new waterproof 4K camera, with a 2-axis gimbal, allows you to capture sharp photos and smooth footages. The reprogrammed S3 flight controller offers a remarkable increase in accuracy of position holding, auto-landing, and auto-return home. The payload module can be changed to a release mechanism for long line fishing bait dropping and life saving equipment delivery, with payload capacity up to 1kg. New SwellPro Splash drone 3 fits in the smaller compact case. Completely redesigned intuitive remote controller presents live video feed and OSD with built-in 5” LCD monitor. New 620kv motors and quick release 1242 carbon fiber propellers enhance the power and efficiency. Follow me with Mobile APP control and new pocket-sized ground station will offer best portability. 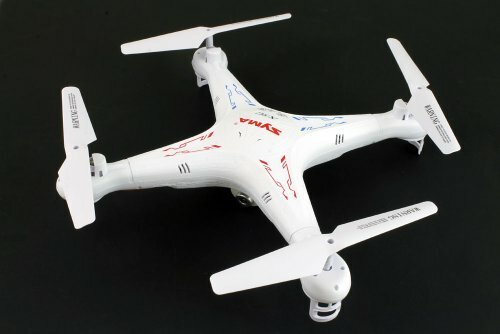 Finally, This is the review on the top 10 beginners drones. Every beginner can fly these quadcopters without any previous flying experience and can enjoy the delightful fly time. Hope this review is helpful to you and have a joyful fly.